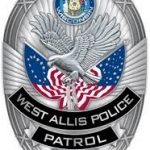 A 45-year-old woman who shot the owner of a West Allis car dealership last March has been found not guilty by reason of mental health defect. Melissa Sandrone had been charged with two counts of attempted first-degree intentional homicide. She entered a no contest plea last November. Milwaukee County Circuit Court Judge Christopher Dee made his ruling Thursday. M-and-M Motors owner Matthew Tripi survived a head wound.